EVE Online creator CCP has said that it will continue to try to create good EVE Online spin-off games despite previous failures. CCP most recently shelved shooter Project Nova days before it was due to go into beta and after showing it behind closed doors to the press. 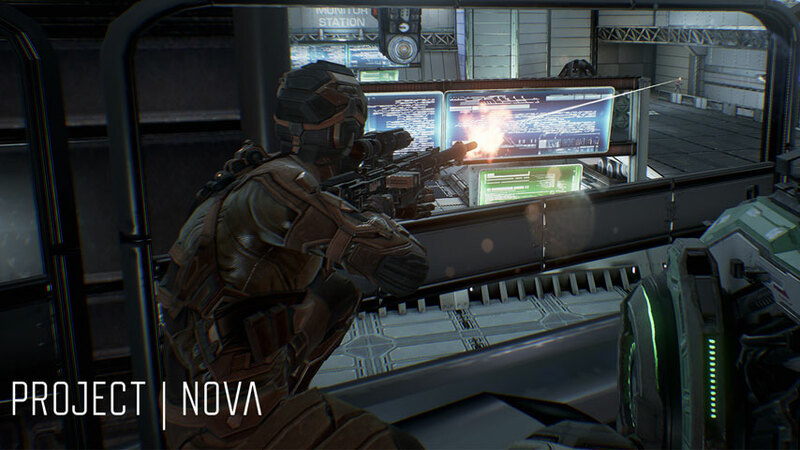 Project Nova was itself a spiritual successor to DUST 514, the cancelled shooter for PS3. CCP also shelved all of its VR ambitions after grand plans, and put EVE mobile title Ascension on hold. Speaking at Reboot Develop today in Croatia, CCP CEO Hilmar Veigar Pétursson compared EVE online to a city, and his studios’ new projects as trying to build a second city in the same country. “It is such an unprecedented thing that we’re going to try and fail and try again,” he told the audience. “For a few more years until we crack it. At CCP we keep at it until we figure it out. One of the EVE Online spin-offs that’s still in development is EVE Echoes, a new mobile project with Netease. This ambitious project aims to bring the entire EVE Online experience to mobile handsets, and Pétursson reckons Echoes’ current state is so advanced it “boggles the mind”. EVE Echoes will be a worldwide release. Provided it doesn’t get canned. Update April 15: CCP claims that Project Nova hasn’t been canned as such, it’s just gone back into incubation.